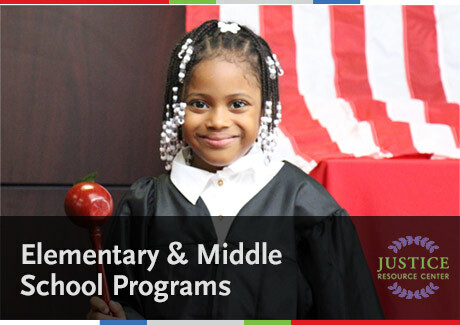 The Justice Resource Center (JRC), in partnership with various city and private agencies, will post Law Day opportunities for our law-related schools. May 1, Law Day, is now extended to Law Week to accommodate all the requests by schools for guest speakers. Each year, the New York County Lawyer’s Association (NYCLA) partners with the JRC to offer the NYC Youth Law Conference to high school students. In 2014, New York Law School hosted the event and NYCLA published the 2014 Youth Law Manual.